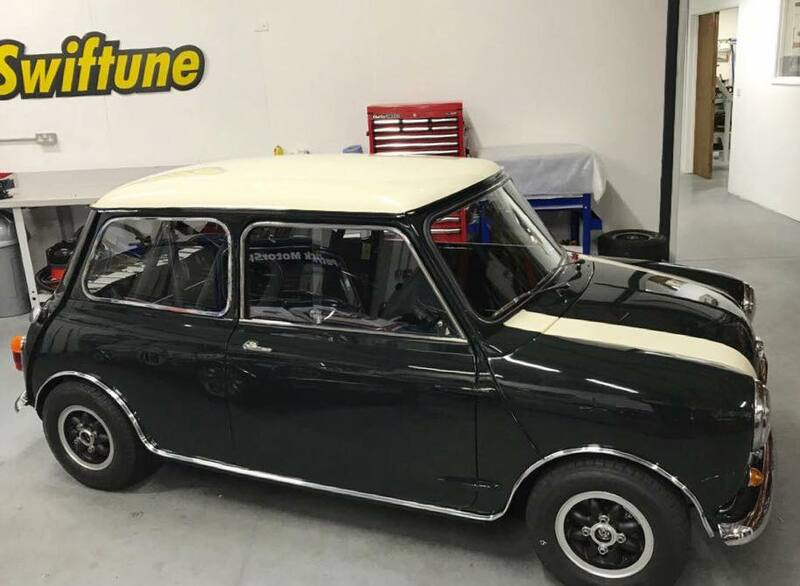 We are excited to announce that we have been working on a very exciting project, building a brand new FIA Mini Cooper S for BMW Mini Classic. The car was commissioned by Germany based Mini Classic, who is part of the BMW Group. 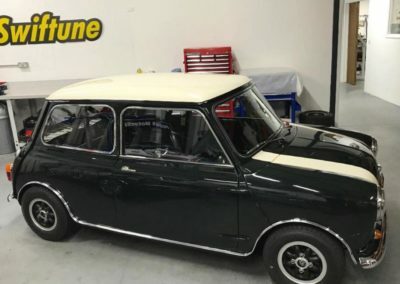 Although we have been in talks about this new Mini for many years now, the car was ordered and build began in the later stages of the summer with a set completion date for the end of 2018. The new car still has the final set-up to be completed before the early season testing can take place. The BMW Classic team have been racing their existing FIA Mini for over 10 years now competing at the iconic Goodwood Revival driven by many BMW works drivers both old and new, at the 2018 revival their car was driven by Charlie Cooper, the grandson of Mini legend John Cooper. 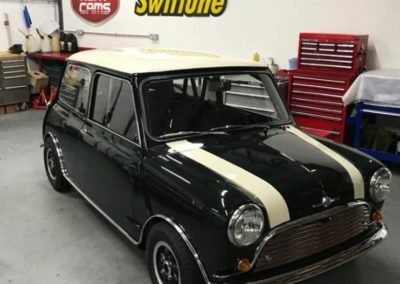 Mini Classic wanted a more competitive car with Swiftune power to ensure that they will be front runners in the up-coming 2019 season. The brief outlined for the car was to pay homage to the 60’s Cooper Car Co. works Cooper S cars, very apt as the Mini celebrates 60 years this year. 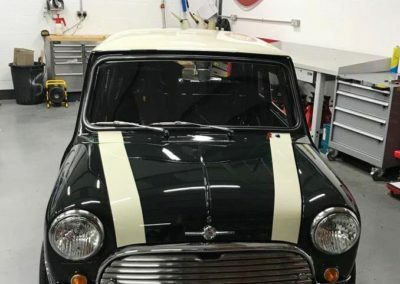 It was decided the new car would be painted in Connaught Green with Old English White roof and bonnet stripes; however that is where the similarities for the original paintwork stops. Back when Cooper Car Co. took the base cars from BMC, the original colour was kept as what came out the factory, the outside was painted Connaught green and white but interior colours varied depending on what cars were picked at the time, meaning most of the original works cars had three different colours. 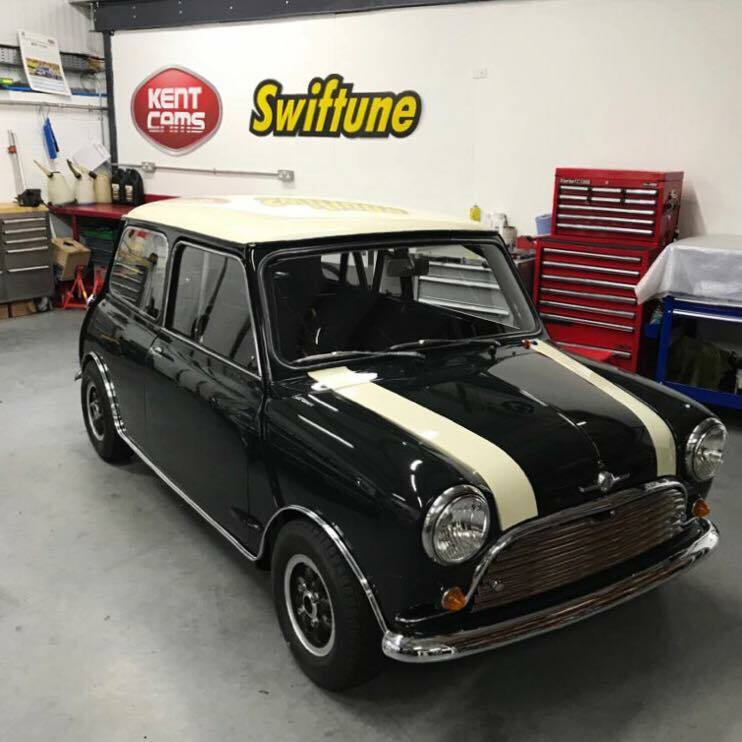 Both Swiftune and Mini Classic decided that this would look out of place in today’s racing world and would look untidy for a brand new car, so it was decided that Connaught green would be painted throughout. 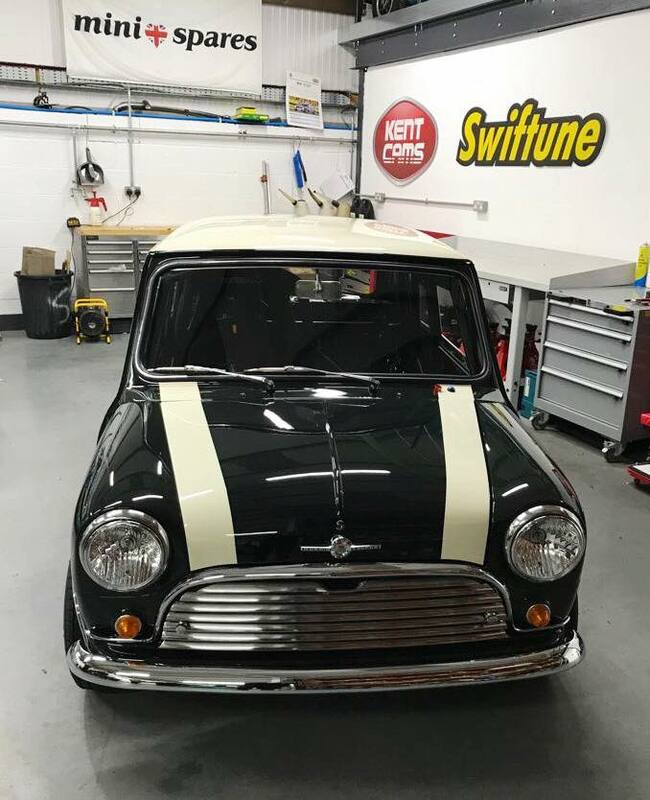 In previous Swiftune works car builds of late, all plumbing and wiring were hidden away so the interior looks ultra-neat and clean, however Mini Classic requested they were kept in view but kept neat and tidy to keep with a traditional style of build.